Shawn’s creativity is rooted in Pure Instinct. As a self-taught painter, Shawn has developed his own style; a love of color tempered with form, and a fascination with how it all fits together in the end. 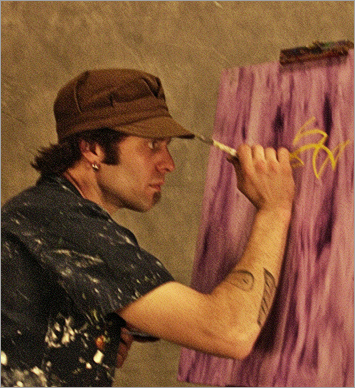 His creative process is freeform, defying explanation — he lets the brush take him where it will. Shawn starts with color and feeling rather than subject — creating depth and balance without shading or blending, allowing the simplest line to reveal beauty and form.